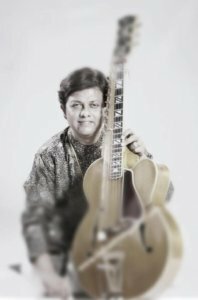 Debashish Bhattacharya, a guitarist from Calcutta, India, will be one of the many artists who will perform at the 16th globalFEST on January 6, 2019 in the Copacabana nightclub in Times Square. According to a press release, Bhattacharya has developed a unique approach to the rendition of Raga on the Hindustani slide guitar. While synthesizing features of other instruments such as the veena, sitar, sarod and sarangi, he frequently collaborates with musicians from other traditions, including Ustad Zakir Hussain, John McLaughlin, Driss el Maloumi and Derek Trucks. 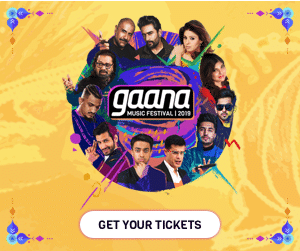 The annual music festival, which brings together musical travelers and performing arts professionals, began in the midst of the aftermath and overly restrictive visa policies following 9/11 and the goal is to keep the American audience connected with the world of music through international artists. This year’s lineup is said to be a joyful celebration of intensely committed musical artists while many performing arts professionals will attend the Association of Performing Arts Professionals (APAP) conference. The other artists who will perform this year include Amythyst Kiah, a Southern gothic and alt-country blues artist from Tennessee; B.C.U.C. (Bantu Continua Uhuru Consciousness), a group that specializes in South African music; CHA WA, a New Orleans brass driving Mardi Gras Indian funk band; Jeremy Dutcher from Tobique, Canada, who has reinvented indigenous Wolastoqiyik songs; Magos Herrera and Brooklyn Rider, an innovative string quartet and lush vocals from Mexico and the U.S. and the Cuban-American group Orquesta Akokán. globalFEST has also launched their annual crowdfunding campaign, which aims to engage several hundred music and culture lovers in support of bringing this mission-based not-for-profit event to fruition, according to a press release. Though the festival runs every year, globalFEST is mainly a service organization that works to develop audiences for noteworthy artists from around the world. It is in this role that they will recognize three important players in the field during their second annual globalFEST Awards, which are to be announced right before the festival on January 6.